Tina, David, and I got back late last night from Seoul, and despite our ruthless bout with jetlag, it’s good to be home. The past few years, whenever I’ve gone to Seoul, my trips there have afforded me an opportunity for extended reflection, an oddity considering the pace and scope of a city life Seoul. This time was no different, and I thought I’d share some reflections from my time. 1. My Parents’ Generation Knows Suffering and Sacrifice In a Way I Will Likely Never Know – It’s amazing seeing photos from my parents’ childhood. South Korea was a war-torn country, and the stories they tell of the scarcity of food and resources is astounding. Seoul is an amazing modern, advanced city today. And yet, if you were to go to Seoul, you would see/know so little of that kind of life. 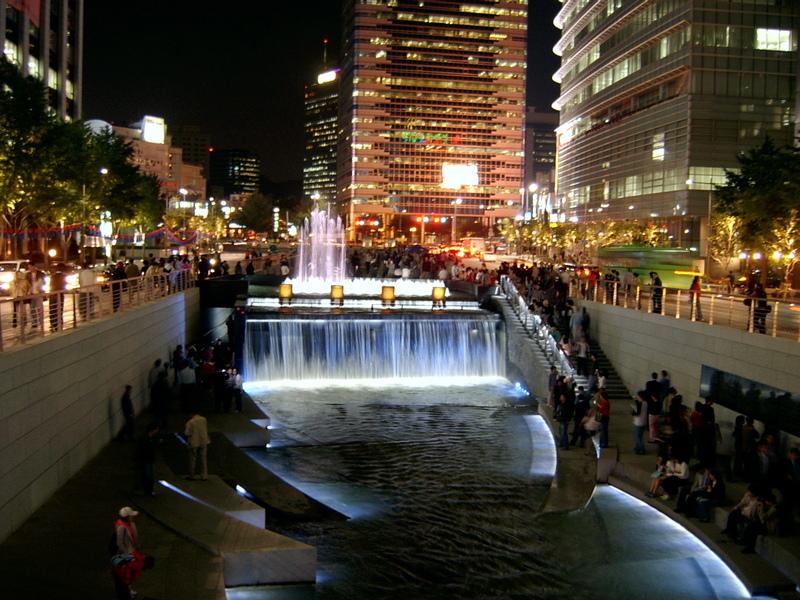 Seoul is one of the most modernized, bustling, technologically booming cities in the world. This might be generalizing things way too much, but the city and people (including immigrants who have come to the States) have profited from a generation of people like my dad and mom who have worked tirelessly for the well-being of the next generation. Bringing David with us was a special treat (and considerably cheaper because he’s not yet 2 years-old), and I thought a lot about the kinds of sacrifices I want to make for him. In all seriousness, I hope I can be as brave and sacrificial for my family the way my parents have been for me. 2. I Want to Go Back to Blogging More – Starting a church and having a newborn was a bit difficult to manage time-wise, but I think I’m ready to dive back into blogging since it’s something I really enjoy. Please pray for me as I made this decision coincide with the start of the NBA season. 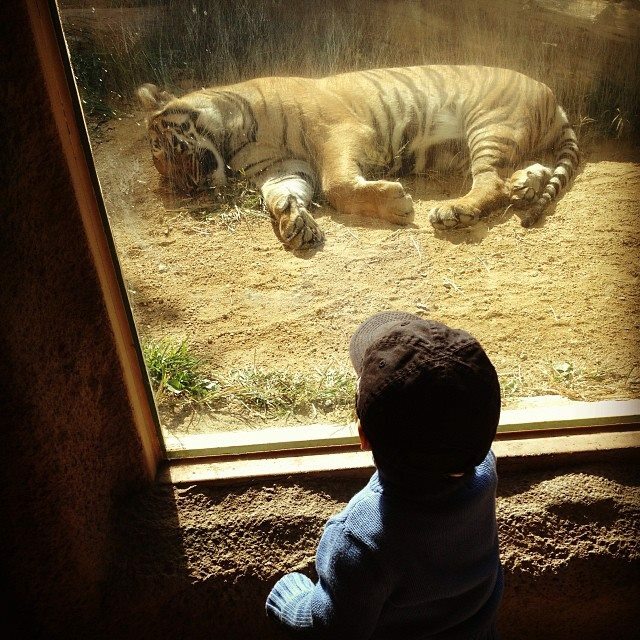 If it wasn’t for Tina, I wouldn’t take David to go meet Tigers like this one. 3. Tina has Increased My Life Experiences by 1000% – Trust me, I would not travel this much if it were not for her, and I would not climb up Namsan Tower (Seoul Tower) or go to Aquariums or Zoos if it wasn’t for her. She’s expanded my life in so many ways! 4. Speaking of Tina, I Married a True Gem – I try not to write about Tina as much, because she really prefers to be anonymous and unknown in many ways. But seeing her spend time with her grandmother, aunt, and other family members was truly a treat. It’s amazing how much love Tina has for extended family, and how she creates an environment of warmth with those she loves. 5. I LOVE Hanging Out with David, Especially at His Age – David’s almost 21 months now, and he’s so flippin’ cute. He’s talking a bit now, and it’s so much fun communicating with him. My favorite line from him is hearing him say, “Are you okay, Abba?” when he knows I’m flustered. With Tina running errands around the city and me being phoneless, David and I spent a lot of time together strolling the streets of Seoul, neither of us able to communicate clearly with the locals there. Thankfully, we both learned how to say “hodduk” with amazing accuracy. 6. I Feel So Incredibly Thankful to Be Part of Hope Church NYC – The last time I was in Seoul, the seeds of Hope were planted, and it’s amazing how far God has brought us since then. While I was away for 10 days, the church flourished without me, which is an absolute dream. It helps to work with awesome leaders like Kristian Hernandez, Craig Okpala, Dan Sadlier, and Amanda Chapman, each who led in different ways over the past few days. Oh, and just so you know, Dan Sadlier & Amanda Sadlier are starting a new church on Roosevelt Island that launches soon, and yep, it’s gonna be awesome. 7. This Might Be Bold, But Seoul is My Favorite Food City – I love, love, love the food in Seoul. It has the best Korean food overall (although Korean BBQ in LA is probably better), and all the stuff I like from other countries – pizza, burgers, fried stuff, street food – are actually really good in Seoul. Somehow all of those things, especially the bread in Seoul, really fits my palate, and I came to the startling revelation that I like eating in Seoul more than I like eating in New York, Los Angeles, Houston, or Berkeley. The one thing I missed is Mexican food, but we actually tried this fusion Korean-Mexican place that was delicious. Oh, and Ippudo opened in Seoul for half the price and no wait whatsoever. Oh, and did I mention Hodduk?